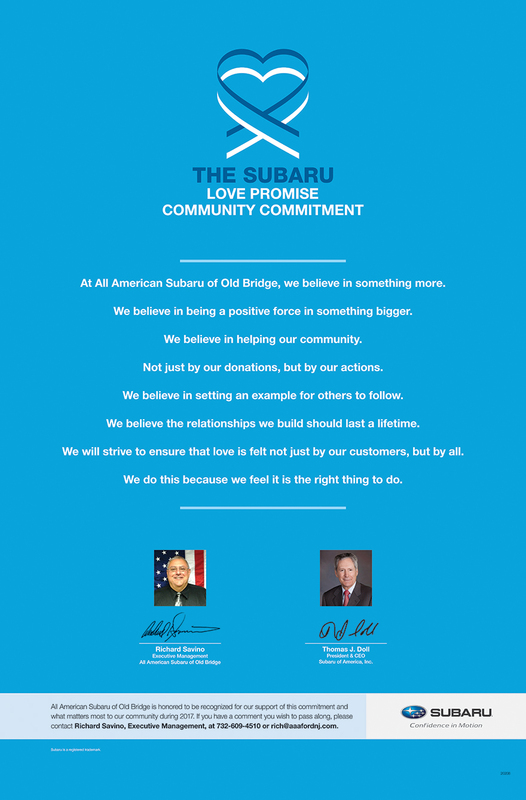 How is All American Subaru dedicated locally to the Love Promise? Did All American Subaru go above and beyond, provide exceptional service, or support causes that are important to you? We'd love to hear about it. When I was first diagnosed with cancer three years ago, there was a lot to think about. There were many conversations that happened and one of them was when my mom told me about Camp Quality. At first, I had no interest in going. But after some time and consideration, I knew that I should give it a try and to this day, I’m so thankful that I did. 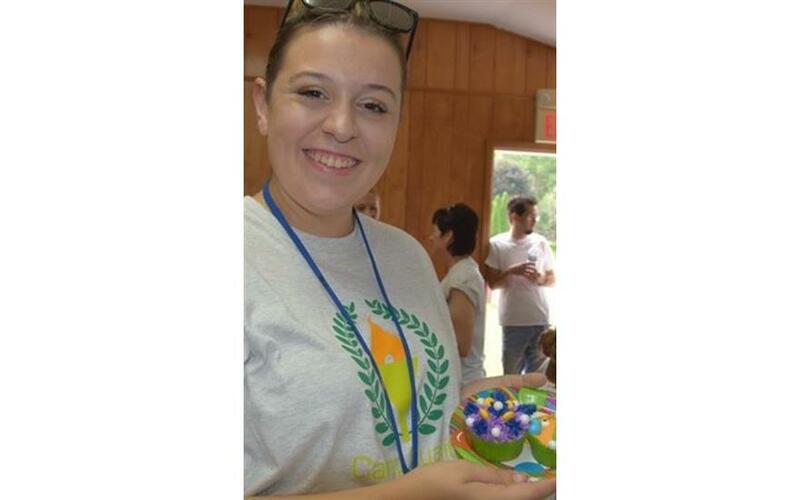 Camp Quality NJ is a charitable, non –profit organization that provides a weeklong sleep-away camp for children with cancer. They also provide year-round activities for the children and their families at no cost to the families. The camp is entirely funded by donations and is run by volunteers. Kids can attend at any stage of their treatment as they have a medical staff that is there to provide specific care as it’s needed. 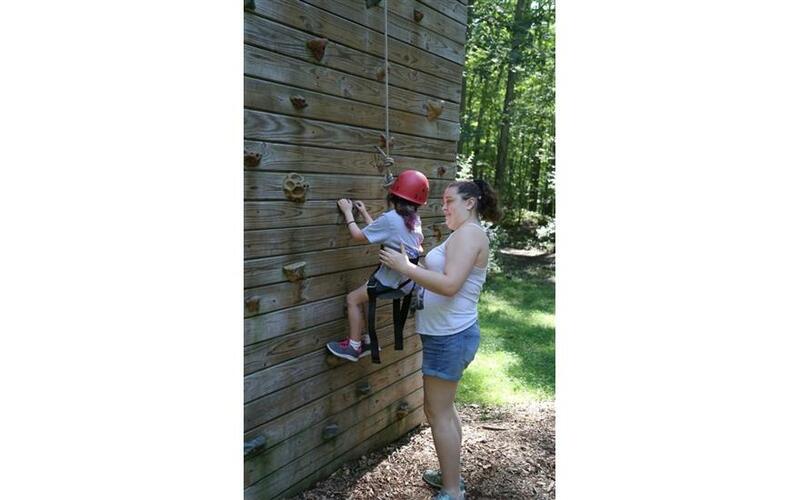 Campers are partnered with a companion for the week who are not only there as a mentor but as a friend. I was a camper for two years and met the most amazing people. Now, I’m lucky enough to call myself a volunteer and be able to give the same experience to others that I got as a camper! I fell in love with the passion that the volunteers had for the entire program and making it the absolute best it could be. 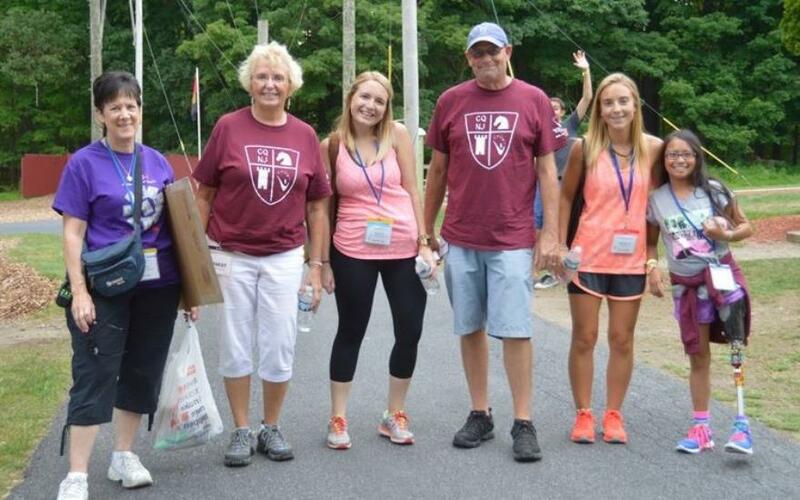 Campers and volunteers became a family as we found a home in Camp Quality. CQNJ is only possible because of all the volunteers and donations from individuals, organizations and companies. I am grateful that All American Subaru recognized the importance and value of Camp Quality to kids like me. 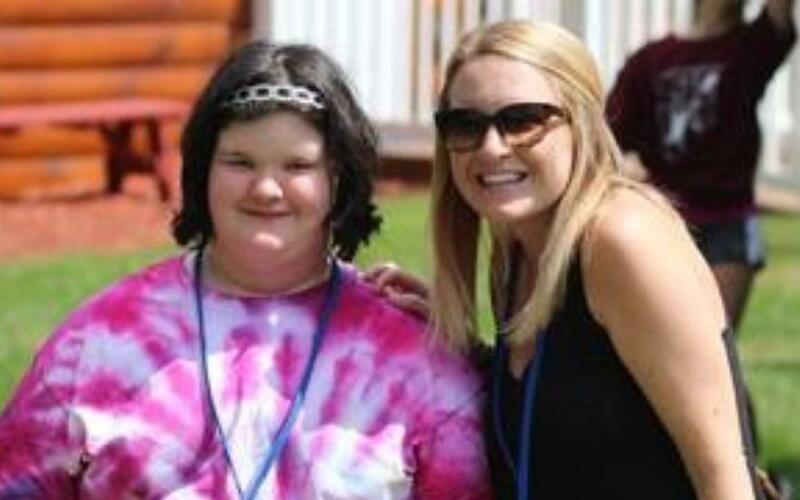 They helped raise over $37,000 last year as they chose Camp Quality for their hometown charity for their Subaru Shares The Love Program. 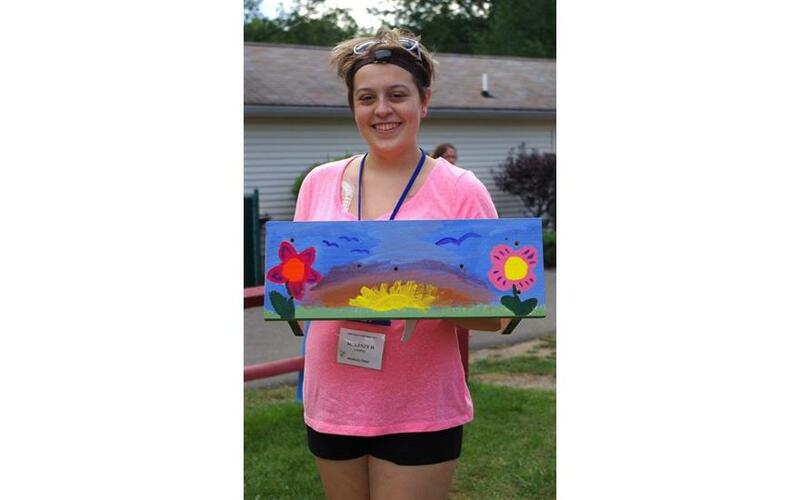 The impact that they made is one that will last a lifetime for the campers. The donations will help create new experiences and memories for all the kids, little and big. There are many charities that they could have picked, but they saw what Camp Quality was about and they joined in on the mission because they care about kids like me. It takes special people like the ones at All American to care about kids that you’ve never met, let alone dedicate so much time and effort into changing their lives and giving them this great experience. 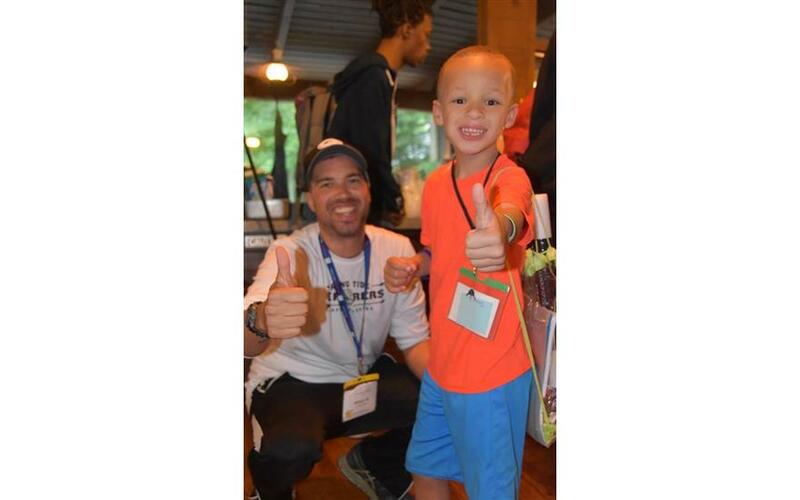 Camp Quality’s motto is ‘letting kids with cancer be kids again’ and All American Subaru is helping to accomplish this. – McKenzie H.
As a mother, there’s nothing you want more than the best for your child. Camp Quality NJ was just that for my son Jackson. 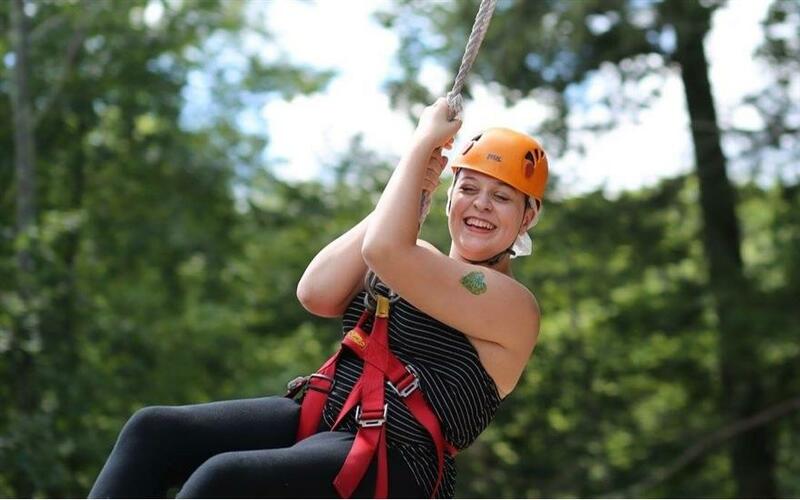 Camp Quality is a charitable, non –profit organization that provides a weeklong sleep-away camp for children with cancer, as well as year-round activities for the children and their families. There is no charge to the families as CQNJ is completely funded by donations and is run by volunteers. They have a medical team on site so any child that is at any stage of treatment can attend the camp and have proper care at all times. Jackson attended Camp Quality for the first time in 2017 and while it was the first time he was ever away from me, he adapted just fine and came home telling me what an amazing experience he had. I cannot explain how thankful I am that he had this wonderful opportunity to grow and be with other kids like him in such a fun and loving environment. I am also so grateful to the donors and volunteers that made this experience possible, especially All American Subaru. All American Subaru helped make this whole thing possible as they helped raise over $37,000. They chose CQNJ as their hometown charity during their Subaru Shares The Love Program and by doing so, they have impacted the lives of so many children in the best way possible. They are helping provide these children with memories and relationships that will stay with them through all the good and bad days. Jackson can’t wait to attend camp again this summer and I can’t express how happy I am to see him this happy. Thank you to Camp Quality NJ and to All American Subaru for making this possible! – Jill S.
All American Subaru and their 2017 Subaru Share the Love Hometown Charity teamed up to send a care package to the troops stationed at Bagram Airbase in Afghanistan. 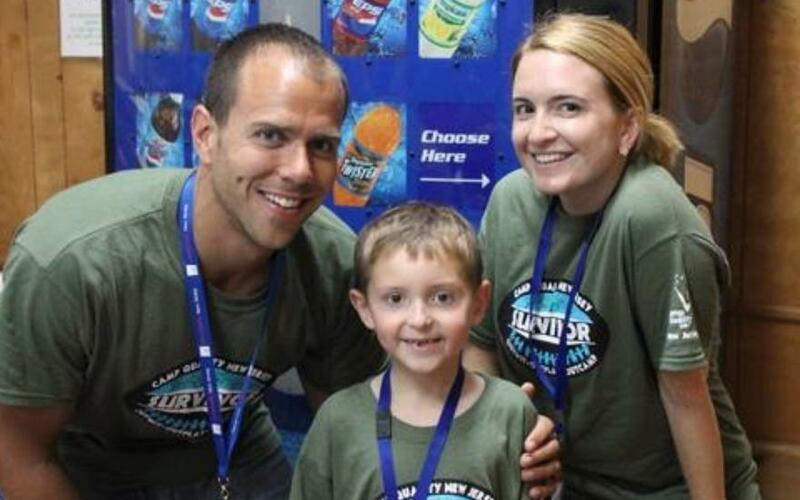 The Hometown Charity, Camp Quality NJ, sends a care package to the troops every quarter. They were visiting All American Subaru and noticed some extra MOTOR TREND magazines and asked if they could send them because the troops love reading car magazines. All American Subaru not only said yes, but wanted to know what else they could send. All American Subaru sent numerous automotive magazines, frisbees, footballs and t-shirts. 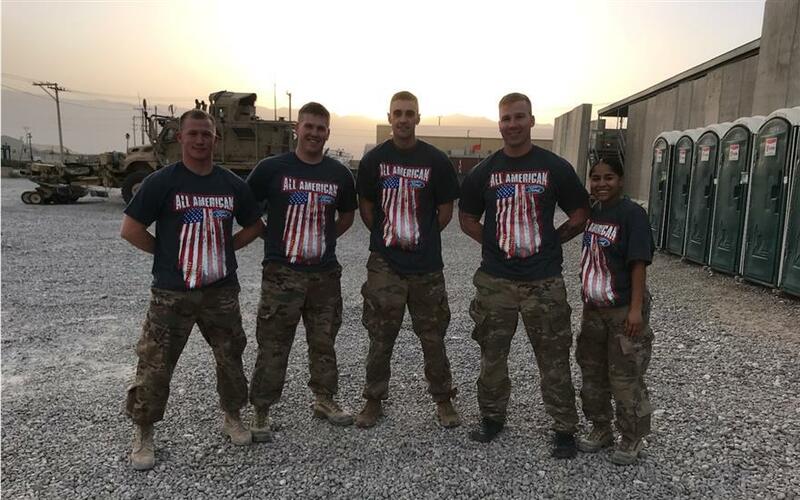 The troops were so grateful they put the t-shirts on and posed for some pictures. 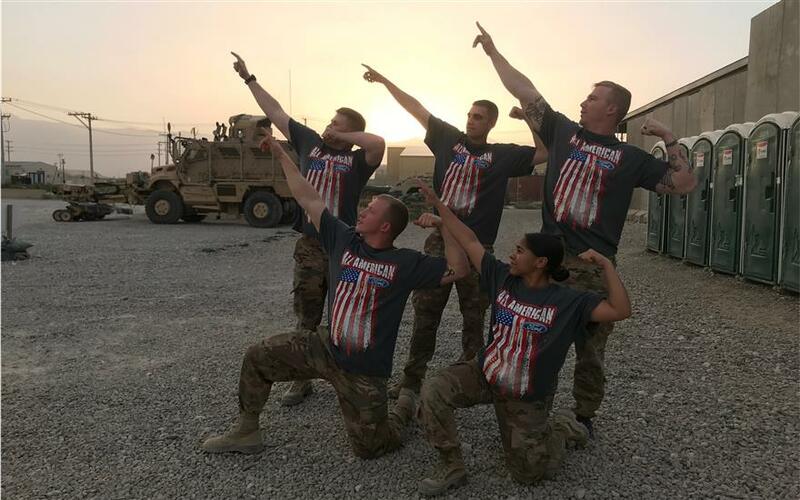 All American Subaru adamantly supports the troops and were more than happy to provide what they were allowed to send. All American Subaru is truly an organizational that cares about the local community, amazing charities in NJ and even supporting the troops abroad when they get the chance. We LOVE All American Subaru. A young couple with two young children lost everything they had in a terrible fire in Union City NJ. 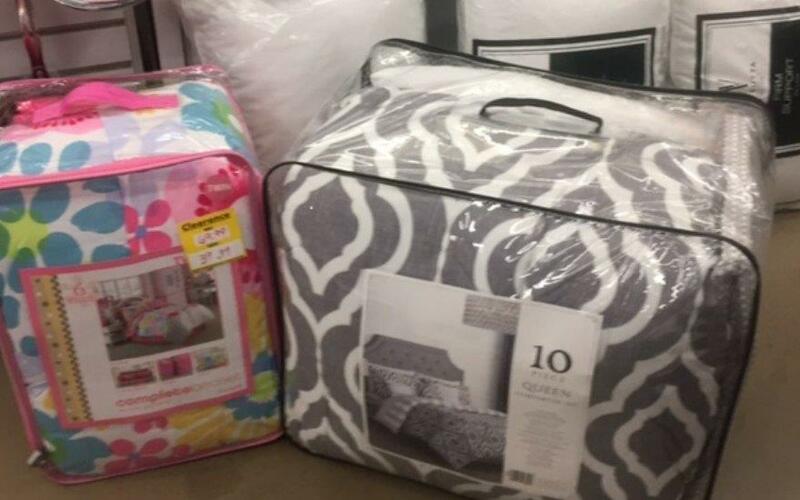 Because of Subaru Share the Love and All American Subaru, the SRB Help Center was able to purchase mattresses, box springs, bed frames, sheets, pillows and comforters for the family. We received a beautiful card with pictures of their children in their new beds stating ' We are very grateful for the valuable help you gave us, we don't have words to say thanks. We lost everything from one minute to another and we had to start again. Your help was valuable for us..thanks a lot.' Kind of warms your heart, doesn't it? The Subaru team at All American delivered the blankets and craft kits on Wednesday, July 5th and were met by Deb Turi-Smith, Radiation Oncology Social Worker at CentraState Medical Center. Deb invited a few members of her LLS sponsored support group to be present to accept the donation of blankets and craft kits. Cancer survivors Jack and Alice shared their appreciation for the donation and spoke to the Subaru employees about how the blankets would benefit patients like themselves during treatment or at home. 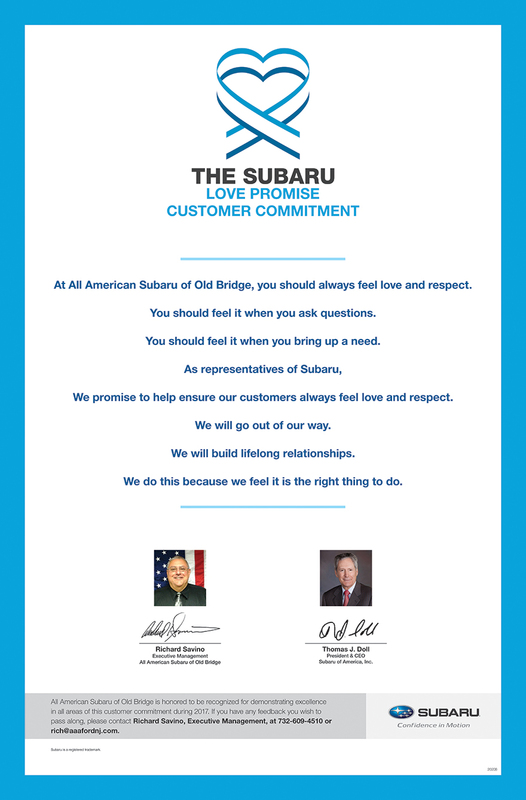 The 'Love' that the SRB Help Center received from All American Subaru of Old Bridge and Subaru America has helped to give families who lost their homes in the tragic Union City Fire that occurred on March 4th a good nights sleep. These families lost everything in their apartments. Once the families were able to move from temporary housing into new apartments, the SRB Help Center was able to purchase new mattresses, box springs, bed frames, pillows, comforters and bed linens for several families, giving them a clean, comfortable place to sleep.